After you have had your website developed, you will now have to get it to the top of Google rankings. However, besides posting fresh content all the time and having a solid social media strategy, you will have to optimize the sites HTML elements. If you have done most of the conventional SEO optimization and the site is still underperforming.You should hire an SEO company. Here are the most important HTML elements they will check. Google recently released data that shows over half of all searches through their search engine take place through mobile devices. The result has been that Google has molded their ranking algorithm based on this data. Consequently, the search engine giant ranks sites using mobile friendliness as one of the considerations. That means the mobile friendly design will help Google to rank sites higher even when users are searching through a desktop.There are also advantages for the website owner, as it would mean fewer bounce rates for their site. Thus, it is quite important to hire the services of an SEO company that believes in the mobile first philosophy. The design means that the site should readily adapt to a variety of screen sizes. All the styles, images, and the layouts must be scalable to any device. Additionally, when the website is scaled down to fit small screens, it should not lose its aesthetic properties. A good SEO company will know how to fit in all these elements of mobile friendly design. The words and structure used in URLs are quite important for SEO. A URL is a method that the search engine uses to understand the relevance of a page to the site. Short and detailed: Ideally, the keywords in the URL should relate to the content of the page. If you decide not to include keywords in the URL, keep the URL efficient. Use the least amount of words while avoiding words like a the, on, of, and others. Avoid underscores: When you separate words, use hyphens instead of underscores. A search engine recognizes hyphens as word separators. They can thus only detect URL words that are separated by hyphens but not underscores. When you use underscores, the search engine sees it as one word. It makes it hard for it to recognize your keywords, which could affect your ranking. Place keywords by relevance: The most important keywords should be at the start of the URL. A search engine gives value to keywords according to their position on the URL. Additionally, the value for each keyword increases as the number of keywords reduces. It is the main reason you should use short URLs. It is also important that the URLs contain keywords as naturally as possible. Failure to do that could cause Google to mark the site as spam. If you use long tail keywords, eliminate the subcategory and category names. It will help to reduce the length of the URL. Using keywords to optimize URLs also make it likely that the anchor text for links will contain valuable keywords. Title tags are technically referred to as title elements. They are used to label documents. Additionally, they are used in the results page of search engines to display the preview of a site. Besides SEO, they are important for social sharing. A title tag should accurately describe a page’s content. It is important for helping the user chose your website. In short, it creates relevancy for your site. To ensure that you glean as much value as you can from title tags, you should follow these best practices. Keep it Short: A search engine will only display the first 75 characters of a title tag. After the first 75 characters, it only displays “…” It is also the limit allowed in most social media sites. Thus, keep it valuable and short to increase its relevance. However, if you are using long keywords, you may go above this limit. Keep the important keywords at the front: The search engine ranks your keywords according to their position on the title tag. Additionally, it also influences the user’s decision when they click on your site. Include your brand name: You should mention the brand name to increase the brand awareness. It attracts customers to your site, especially if they already know about your brand. 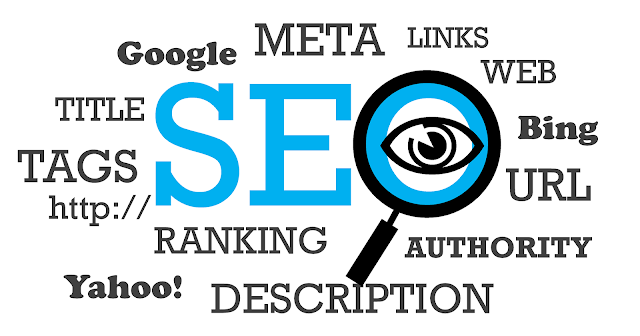 At times, it may be better to have the brand name of the title tag to improve SEO ranking. The developer needs to move the content within the site often. The content needs to be moved to new URLs and redirecting visitors to this new page. A redirect is quite important for SEO. It helps the search engine avoid confusing content as duplicate. By utilizing a redirect on the old page, it helps the users of your site to find the content. Additionally, it makes it easier for crawlers to find content contained on your site. Without redirects, the search engines could send users of your site to the wrong page. By using 302(temporary) and 301(permanent) redirects, you can move content without suffering regarding traffic and ranking. It also means users of your site do not have to deal with 404 pages. Unlike before, Google now treats 302 the same as 301. Additionally, you should avoid redirect chains. The first URL contains parameters that are confusing to the search engine crawlers. Additionally, the users of your site will be confused since they cannot see the category and product name they want. The result is that your URL will not be shared much by users. It will also make it hard for a search engine to find relevant keywords through your URL. The second one is a good example of a URL that is friendly to both users and search engines. Although it may seem like search engine are working against you, they are not. These five tips should help you get a spot at the top. It is especially so if you have used other white hat techniques that ensure high SEO ranking.